Before decide what type of garage door you want for your home, it’s best to research the different options, styles, and features available. A high quality garage door will last a long time and provide years of worry-free service. In some cases, it could even last a lifetime. It makes perfect sense to invest a little extra to get the best door possible. You should also avoid low quality doors that’ll need to be replaced more frequently. In the long run, you could actually end up spending more than on a high quality door. Upgrade from polystyrene to polyurethane insulation: The effectiveness of an insulated door is based upon its R-value. The higher the R-value the superior its insulating effect. Opting for better insulation, like R-W’s Neufoam™, can up to double the R-value. Purchase a new garage door opener with your new garage door. The garage door dealer who installs your new door can also install a new opener at the same time. New openers are quieter, have more features, and are designed to work better with your new door than keeping your existing door opener. Use R-W’s Design-a-Door: With Design-a-Door you can upload a picture of your home and use it to try out different door styles, designs, and options to find the one that you like the best. Once you are done, simply print out the door specs to give your local dealer and request a quote. Request an R-W Authorized Dealer give in-person quote. Every garage opening can be different. An experienced garage door dealer will be able to check the shape, size, side clearance and headroom of your garage and verify if the door you select will fit correctly. 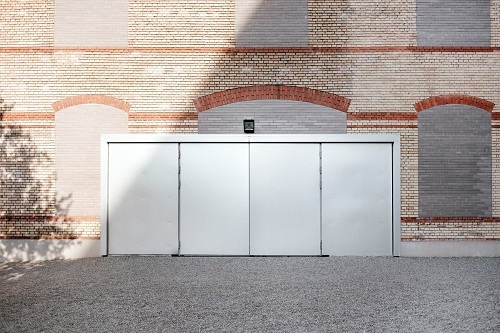 Verify the door has features to withstand different types of weather. A high quality door should have an artic-grade bottom seal to stop snow, ice and water from getting into the garage. There should also be dual-seal section joints in between each door panel to keep out wind and moisture. 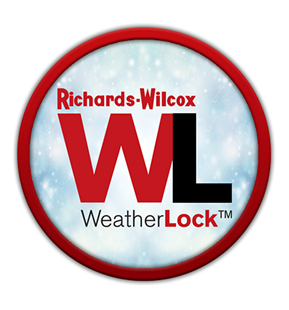 R-W’s Weatherlock System includes all of these features. Add windows to improve the style and function of your garage door. No matter which style of glass you choose – clear, frosted, etc. – it is also a good idea to upgrade to insulated glass. To learn more about our residential garage doors, please feel free to explore our selections online and try out our “Design a Door” feature at www.rwdoors.renoworks.com. 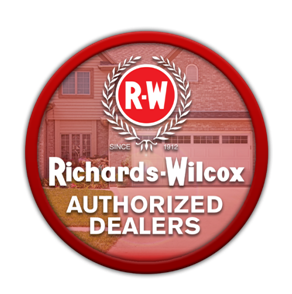 To request your garage door quote from an R-W Authorized dealer go to www.rwdoor.com to find your nearest dealer in your area.